A romantic getaway to the countryside with hubby, one small suitcase and a daisy print off the shoulder maxi dress from Zaful, these are the ingredients for happiness. A small village in the countryside, my lace espadrillas, a panama hat and a fun raffia clutch with a face, and we have an outfit both trendy and boho with a touch of girly romance. I have loved this maxi dress at first sight and it has been a great choice, it's perfect for a sunny day walking in the country and also for an end of summer party. Una fuga romantica in campagna con il maritino, una piccola valigia e un abito maxi off the shoulder con stampa margherite preso su Zaful: questi gli ingredienti della felicità. Un piccolo villaggio immerso nel verde, le mie espadrillas di pizzo, un cappello panama e una clutch divertente in rafia con una faccia, ed ecco un outfit sia trendy che boho con un pizzico di romanticismo girly. 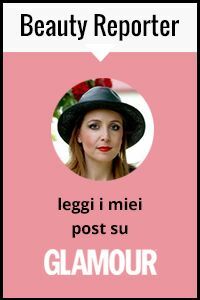 Ho amato questo maxi vestito appena l'ho visto e si è rivelato una ottima scelta, perfetto sia per una giornata estiva in giro per la campagna che per un party di fine estate. My off the shoulder dress with a ruffled hem has a cute daisy print, simple flowers that represent purity and innocence and that can be easily found everywhere (just like off the shoulder hems this year, it's a trend I have been loving so much !). I kept my accessories light and summery. Soon you will see Fall outfits on this fashion blog, but I still have a few summer looks to show you. I have spent last weekend at the beach but I am slowly getting back to my routine, and next week I will be starting my training at the gym again, what are you up to ? Do you own any off the shoulder maxi dress or a raffia clutch ? Il mio abito off the shoulder con riccio sulla scollatura ha una carinissima stampa margherite, fiori semplici che rappresentano la purezza e l'innocenza e che si possono facilmente trovare (proprio come gli scolli off the shoulder, è un trend che sto amando troppo !). Ho scelto accessori leggeri ed estivi. Presto vedrete outfit autunnali su questo fashion blog, ma ho ancora qualche look estivo da mostrarvi. Ho trascorso lo scorso weekend sulla spiaggia ma sto tornando lentamente alla mia routine, e la prossima settimana tornerò anche ad allenarmi in palestra, voi che mi dite ? Avete un abito maxi off the shoulder o una clutch in rafia ? Wow that dress is so pretty! I live the off the shoulder design. Questo maxi vestito romantico è davvero un amore, mi piace molto anche il particolare delle espadrillas in pizzo che richiamano l'inserto dell'abito. E la clutch e troppo divertente! Ho perso la testa per questa clutch <3 la voglioooooo!!!! Assolutamente perfetta per una fuga romantica in campagna! E' bellissimo questo maxi dress e poi tu abbini sempre degli accessori così particolari! Just like I've mentioned on Instagram, I'm completely smitten by this outfit! You're looking so romantic and summery in this wonderful dress! Questo abito è bellissimo e la borsa deliziosa! che bellezza questo abito, sei stupenda Vale!! Oh my goodness! That dress is so beautiful! I just love that pretty print. Lovely Vale ! The clutch and dress are fab. I dont own either but I really need to! this dress is a stunner! Direi che questo look campagnolo è figherrimo! Ma quanto è bello questo vestito? Che figa..... e che romantica !!! Perfezione assoluta!!!! E' aadorabile questo vestito!!!! che bello questo vestito! E' molto allegro ma la borsa rende l'outfit un insieme di gioia e felicità! E' così carina con la decorazione a faccina! che carina questa stampa margherite! adoro la stampa floreale e questa e davvero bellissima....Mi piace un sacco questo vestito lungo, ti sta molto bene. Sei sempre stilosa e perfetta!!!! Amei a estampa e o modelo do vestido. Ombro a ombro é lindo! Questo vestito è delizioso, femminile e sensuale al punto giusto. Stai benissimo con le spalle scoperte! I loved off the shoulder styles and margherite :) as well! This dress is super sweet, you look gorgeous! Loved the raffia clutch too, a perfect complement! I saw you on TV, by the way, a fashion show, where they showed some bloggers pictures, no joke! Questo maxidress ti sta benissimo!! Adoro le spalle scoperte e la clutch è davvero super fashion! Stupenda, sei perfetta, bellissimo abito! Con questo look ti vedrei benissimo ad un puc nic super sofisticato nella campagna inglese Vale..
Un abito stupendo, amo il fatto che sia maxi e che le margherite siano giganti, lo rende molto piu spiritoso. deliziose margheritone su questo abito che sa di candore e cose buone. I love it that you are still wearing a summer dress. And what a pretty one! Very lovely! Bellissimo l'abito con le margherite, cosi fresco e leggero. Mi piace molto. E' adorabile questo look, l'abito è bellissimo!!! Un bacio!! Favoloso il tuo look! Un bacio. This off the shoulder maxi dress is gorgeous on you! I love the daisy print, and it's perfect for the countryside! WOW, what a stunning dress! Very well put together and perfect for the countryside. You look so pretty and summer ready, love ur dress and glasses !! Aww I hope you had a great time on your gate away!